In case you need to send out a quick SMS to a colleague, client or just friend, ProTexting has this feature, and it is easy to use! 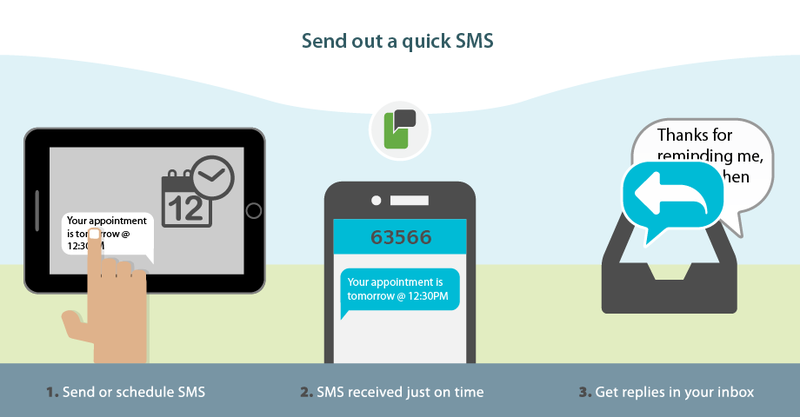 All accounts get the single SMS feature for FREE, and you will be able to send the text message immediately, or schedule it for future sending. You can have UNLIMITED schedules, which means that you can plan and schedule all of your appointments, reminders, sales follow ups, etc in advance and not worry if you will miss an important communication. Once you send the SMS, the recipient will be able to reply to all of the messages and all replies (SMS or MMS) will be saved in your ProTexting inbox. From there, you can activate the message forwarding app, and receive all inbound text messages to your emails (or emails), and mobile phones. This way, you can keep your personal number as private, and use our platform for any other business communication. By signing up with ProTexting, you will immediately get access to many more SMS communication and marketing tools, so that all of your mobile communication can be managed from one platform.